As a writer do you feel unnerved at the thought of going public with the personal? Terrified of revealing family secrets and then being asked to explain in interviews, signings, talks? In this essay Karen Levy discusses what many memoir writers grapple with . . . the unnerving aspects of going public with the personal after leading a very private life. Yet as Karen writes: "There is really little point in writing a memoir if you don't give away pieces of yourself, and just as I discovered when I honed my writing voice, the more power I gained in writing and in speaking, the stronger my voice became, the more I enjoyed this next phase of the writing adventure." Writing is such a strange business. It begins as a most private endeavor, the glimmer of an idea, just you and the glaringly white screen, blank with anticipation at the wondrous words and worlds that will soon fill its emptiness. If you are like me, you do battle silently, painfully, saying little to others about your work in progress lest it fail miserably and you will have nothing to show for the months and even years spent crafting and deleting, weaving and dreaming your characters to life. Yet for being so private, the kind of writing I do is unnervingly public, a discovery I did not make until my memoir, My Father's Gardens, was published and in other people's hands. I would be lying if I said that I had not hoped for a publisher who would come along and say yes, offer a contract and make all those years of effort justified, legitimate. But when I pressed send and watched my manuscript vanish from the screen and hurtle through cyber space on its way to my publisher's desk, I panicked briefly, suddenly realizing that the story to which I had given voice, my story, was no longer mine alone. Others would now read it, judge it, judge me, and the thought was both terrifying and exhilarating at the same time. Little did I know that the journey into my private world would not end there, my book on the shelves of the local bookstores where I had dreamed it would one day be. While the writing part of the adventure had ended and successfully at that, the promotional aspect of having written a book had just begun and I found myself standing before groups of people who actually expected that I speak about what I had written. Just read the book! I kept wanting to say at first. Yet it had not been enough that I had exposed family secrets for which my mother, brother and a couple of friends had stopped speaking to me. Now audiences wanted to discuss these secrets, open them to interpretation even though what I had written was a memoir, my version of the truth which my mother claimed was fictional. It took a few months of appearing in various venues to ease into this aspect of the writing life. And I soon discovered that despite being a painfully shy individual, in my writing and public appearances I keep revealing secrets. There is really little point in writing a memoir if you don't give away pieces of yourself, and just as I discovered when I honed my writing voice, the more power I gained in writing and in speaking, the stronger my voice became, the more I enjoyed this next phase of the writing adventure. Over the past year of promotional events my motto has become say yes to everything. I said yes to readings in hole in the wall art galleries, warm and welcoming poetry centers, and dubious open mic nights as young men sang of lost love and broken hearts while I sat waiting my turn on a ratty sofa in the gathering dusk. I said yes to the Sacramento Library Fund Raiser and found myself in the company of impressive fellow writers. I said yes to the auction portion of that evening despite not knowing what it entailed and a few weeks later, found myself part of a sumptuous dinner with those generous contributors who had bid on my book. I've said yes to bloggers all over the country and to newspaper articles in which they always get something wrong. I've said yes to book clubs and retired teacher associations and have had confirmed what I've known all along - words are powerful, and while mine have severed some ties, they have also traveled across borders and cultures and into hearts and homes of readers. I would not have otherwise reached. I hope to be asked to many more events so I can keep saying yes. How do you feel about going public with your family secrets and memoir? What are the rewards of sharing you story? Karen is giving away a copy of My Father's Gardens to a commenter selected in a random drawing. 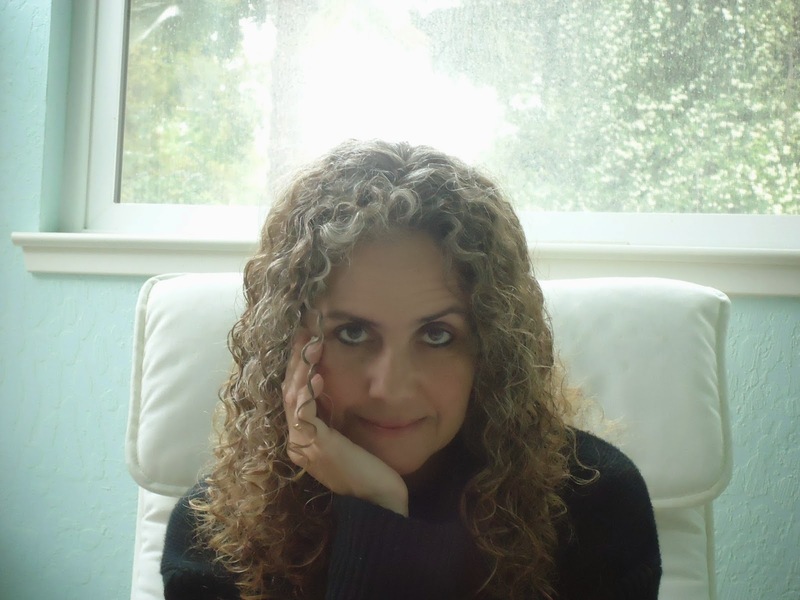 Karen Levy is an Israeli-American writer. Born in Israel, Levy spent most of her childhood traveling between her native land and the United States. Commuting between these two countries and having a keen eye for detail have afforded Levy the knowledge necessary to recount the immigrant experience in a very candid style. Following her military service, Levy pursued her studies in the United States where she earned a B.A. in Comparative Literature from the University of California at Davis, and an M.A. in English/Creative Writing from Sacramento State University where she teaches composition and interpretation of literature. My Father's Gardens is nominated for the 2014 Pushcart Prize. She lives in Davis, California with her husband and two children. 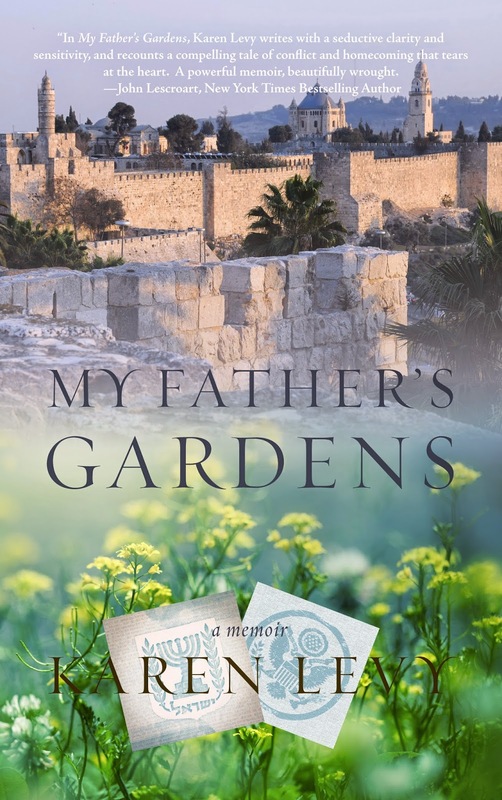 About the Book: My Father’s Gardens is the story of a young girl who comes of age in two languages, and on two shores, between warring parents and rules that change depending on the landscape and the proximity of her mother. Struggling to find her voice and her place in the world as a result of her frequent travels between her native Israel and the United States, she feels that she must choose a place to call home. As her scenery alternates between warm Mediterranean and snow capped mountains, loud-mouthed Israelis and polite Americans, so do her loyalties: Is she more Israeli or American? How will she know when she has arrived? And while she chooses she is slowly transplanting bits of her father’s gardens on foreign soil.